You would never think that such an exquisite building used to be the headquarters of a bank in the 1870s. 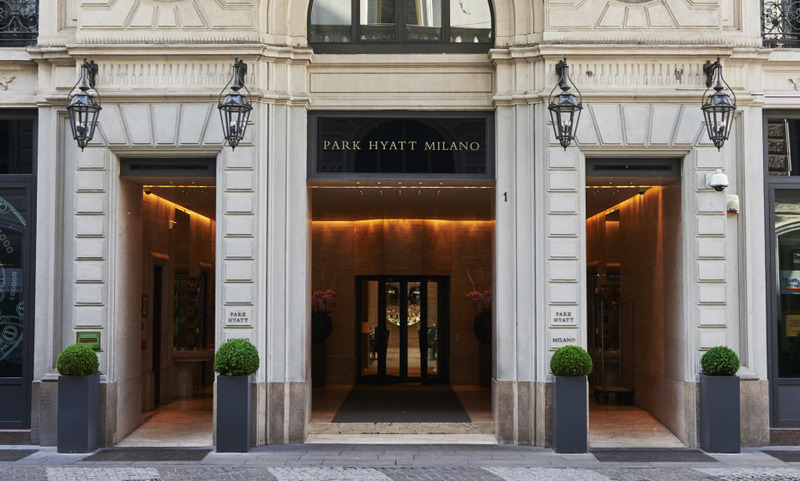 The Park Hyatt Milano is a city hotel dream, where old world glamour meets modern sophistication. You couldn’t wish for a better location – the hotel overlooks the famous Galleria Vittorio Emanuele II – or for better rooms. Designed by architect Ed Tuttle, the hotel’s interiors are replete with hand-blown Murano glass fixtures, brocade fabrics, cream-hued travertine and black marble; each room comes with an incredibly spacious marble bathroom with rain showers and separate bathtubs, a rare delight. Perfect location in the heart of Milan, overlooking the Galleria Vittorio Emanuele, few steps away from the Duomo. Unpretentious service guaranteed by a young, energetic and committed staff. Extra-large bathrooms mirror the discreet luxury that characterises the entire hotel. Fantastic position. Worth staying in. All seven of us staying there were very happy with the hotel.